First published in 1926, this study addresses the theory of morality using four overarching approaches: analytical, psychological, theoretical, and finally, philosophical. 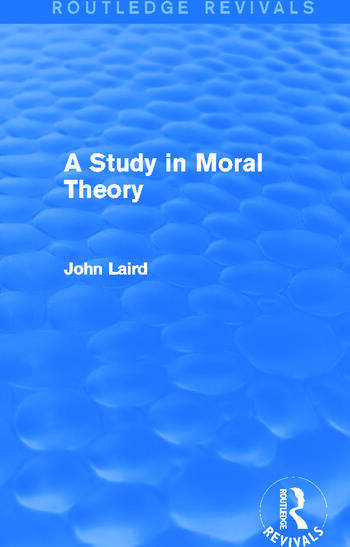 Within these methodologies, chapters explore such areas as the character of moral enquiry, the knowledge of good and evil, freedom and self-determination and moral philosophy. This is an interesting reissue, which will be of particular value to students researching the philosophy of ethics and morality.